Is this the best part of the day? Not from where I’m sitting especially from where I’ve been sitting started just after 5 a.m. Why thank you, Fatty. Oh yes, blog, we now have 5 boys and 2 dogs. This new dog, also a black labrador and with a name that is almost identical to a supermarket chain, (Lidi…..sounds like Lidl to me) is untrained. 7 months old it has been used to ruling the roost, dog kennel, human dwelling, jumping up and scratching, sitting up at the table, evacuating its bodily waste wherever she likes (it’s a girl at least. I need all the female support i can get in this oh so very testosterone household). In fact, her behaviour is very much like that of the boys – so she’ll settle right in. And on the plus side, she doesn’t leave dirty washing EVERYWHERE…….yet. Do you know how far red wine flies when your glass is knocked by an airborne dog as you sit on the sofa watching tv? I’ll tell you. It can cover an entire sofa, part of a (new) rug, two pairs of jeans (being worn), a dressing gown, a pair of Ugg boots and a t shirt. Do you know how much weight a floating, unattached pool cover can take? It can take about 25 kgs of dog. A dog who tried to walk across water. 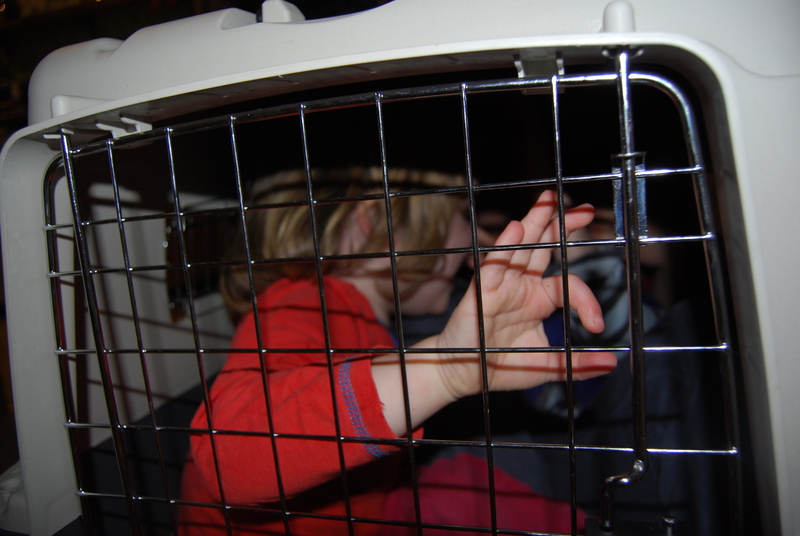 How many children can fit in a dog cage? Three. A 7 year old, a 6 year old and a larger than average 3 year old. If Fatty doesn’t sleep during the day (and let me tell you how many times I BEG him to) then, as you most likely know, by 5 p.m. he is like an unleashed demon on anabolic steroids as we try to keep him awake. In order to keep him awake until 6/6.30 p.m., I give him a small (oh and very small as let me tell you the mistake I made after giving him too much…….Camera 1, time: midnight – scene of Fatty running around and around the kitchen table) amount of coca cola – the official brand, and not Mc Donalds own cola. This normally cuts it until 6 at least. The other day, I opened the can, put it out of his reach (really Fran, did you REALLY put it out of his reach? ), went off to run his bath, came back down and who did I see emptying the last of the can into his plastic cup? So with the imminent arrival back from holidays of the Husband, the Prof and the Lips, the Prodigal decides to unravel by taking the key of the locked office, unlocking it and taking out plenty of the (hidden) alcohol. Not the bottles – as I’d notice too easily – no, he decides to put it in the kids’ water bottles. Oh yes indeed. 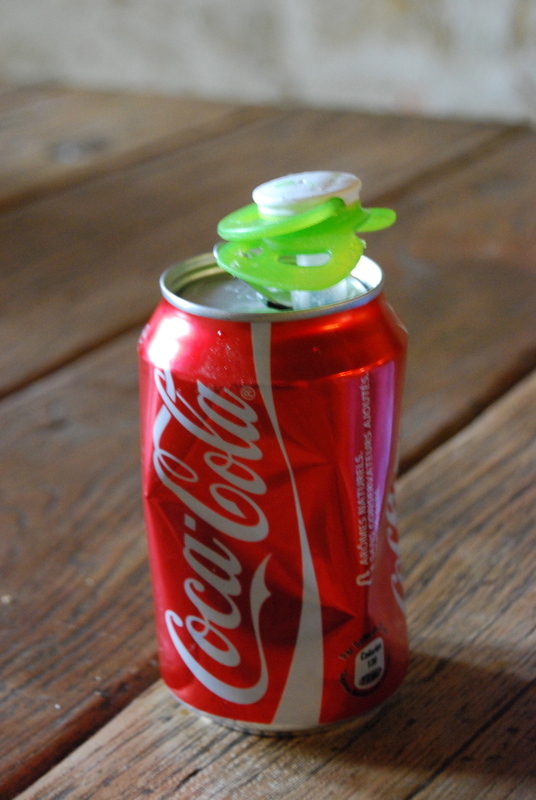 AND, he leaves these ‘hidden’ (boys can’t hide things as well as they can’t find things) in the garden and in the house. Smart on so many counts? hmm. Whilst he is on this roll, he decides to begin cutting through (I had to look that up – ‘through’ as I’d written throw and then threw…..Jesus!) the tv power cable so that some of the copper wires are exposed. He then gets bored of that and tells the Face to plug it back into the tv and switch it on. Luckily, the never present electrician had recently updated that part of the electrics and the house didn’t catch fire….never mind, the effect it would have had on the FAce’s hairdo. To be fair, he only left the iron plugged in once these last two weeks……….. and the glass cake stand which he smashed half of? well, only one person cut their hand on it as he left it where it was. Today, we (me, Husband, Fatty, the new (untrained) dog and the Prodigal) go to Toulouse to see the psychiatrist. Call it a Mental Health Day Out. Actually, this is the Prodigal’s first session with a professional (other than chatting with Dr. Frances in my sister’s garden….thank you for that, Dr. I didn’t yet receive your bill). I’m slightly concerned that us as a collective (Green snot faced not very charming Fatty, the Husband wearing his usual attire of paint splattered everything, the Prodigal looking like a Russian peasant, the untrained Dog and myself) will present an ‘interesting’ first impression…..
My next blog (maybe tmrw – what a treat for you!) will be about my brother, Fingers. So, keep well dear Readers and I’ll be back soon (unless the psychiatrist admits US today). Love this blog. Your life is so entertaining – love it! Thanks for following. I’ll get to Texas one day (im giving you good warning. Pack up now and leave no forward address details…). Does that cage 2 boys and a dog? I shall make the experiment in the morning. wanted to say, does it hold 2 boys and a dog?